Offer valid until June 19, 2016. While supplies last. Life is indeed good with a father like yours. Let him know how glad you are that he's your dad with this frame, especially for him. • Wood and glass with unique message. • Holds 4 x 6 photo. Spend some quality time with your dad by presenting him with this cribbage game that you can play together, making those special moments the greatest gifts. 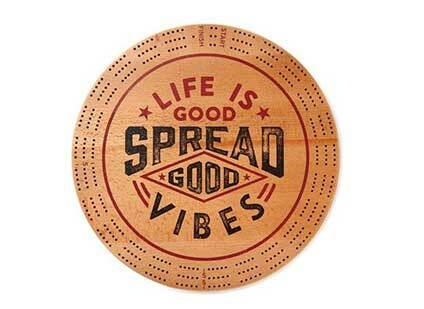 • On board: Life Is Good® Spread Good Vibes. 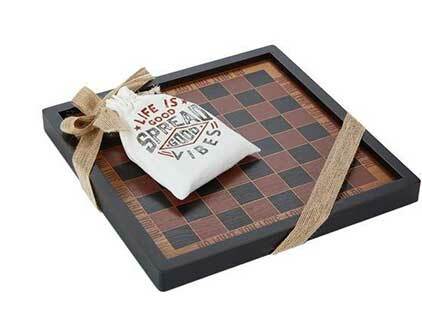 • 12" W x 12" H x 1" D.
Gaming takes on a whole new meaning with this Father's Day-inspired checkers game, uniting the family for some quality time with the man of the hour. • On board: Do What You Love. Love What You Do. • On bag: Life Is Good Spread Good Vibes. • 18" W x 3.5" H x 0.5" D.
The Life is Good Company, © 2016.